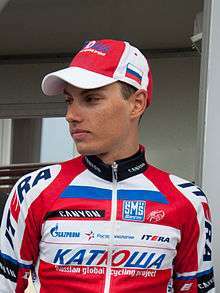 Simon Špilak (born 23 June 1986 in Tišina) is a Slovenian professional road bicycle racer. He currently rides for UCI ProTeam Team Katusha. Špilak is best known for being the winner of the 2010 Tour de Romandie, after original race winner Alejandro Valverde had his results expunged as part of a doping suspension. 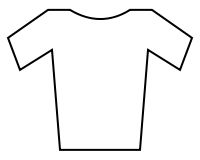 Špilak went on to gain second place in that race in 2013 and 2014, both times behind 2013 Tour de France winner Chris Froome. In 2013, he was the victor of the GP Miguel Indurain and the Eschborn-Frankfurt City Loop, his only two victories of the year. In 2015, he won the general classification of the Tour de Suisse with only five seconds of an advantage over Geraint Thomas. The victory was decided on the last day's time trial. ↑ Retroactively awarded after Alejandro Valverde's results were disqualified following his backdated two-year ban in June 2010. ↑ Stokes, Shane (26 October 2011). "Katusha Team confirms its eleven new signings for 2012 season". VeloNation. VeloNation LLC. Retrieved 3 January 2012. ↑ Stuart Clarke (21 June 2015). "Geraint Thomas falls just short of Tour de Suisse title as Spilak wins overall". Cycling Weekly. IPC Media Sports & Leisure network. Retrieved 21 June 2015.